According to the National Christmas Tree Association each year in the U.S. alone between 25 and 30 million live Christmas trees are sold. To accommodate this annual chopping fest, at any given time there are around 350 million trees growing on various Christmas tree farms in the United States. As for the other side of things, it’s not clear how many trees are illegally cut each year at Christmas time, although Christmas tree poaching is generally considered a pervasive problem throughout the regions of the world that celebrate Christmas. In the United States where the average live Christmas tree costs in the neighborhood of $40-$50 and an artificial tree can be much more expensive than that, it’s easy to understand (although difficult to excuse) why some turn to crime to decorate for the yuletide. To thwart these villainous poachers, those managing areas containing trees that would otherwise look great decorated with some ornaments and tinsel have come up with a variety of approaches to protect their evergreen charges. Perhaps the most interesting of all of the deterrents is fox urine. Containing the volatile chemical compounds delta-3-isopentenyl methyl sulfide, 2-phenylethyl methyl sulfide, 6 methyl-delta-5-hepten-2-one, and trans geranylacetone- all believed to help the fox with its intra-species “olfactory communication“- in the great outdoors in winter, you could walk by a place sprayed with fox pee and not even notice it. However, once the sprayed object is brought inside and warmed up, it reeks to high heaven, very much akin to a skunk’s spray. Those who use fox urine, like the City of Lincoln, Nebraska, sometimes augment it with other stinky (e.g., skunk essence) and non-stinky (e.g., glycerin and water) substances and spray the whole mess onto any trees that look like someone might like to put them in their living room for Christmas. Together with signs posted identifying the presence of the smell and how it works, the fox urine application has been highly effective at reducing Christmas tree poaching – according to Lincoln’s parks supervisor, dropping the tree theft totals drastically down, to a perfect zero, in 2012. Another popular option is skunk spray. At Washington State University, prior to taking defensive measures entire trees or the tops of large trees were often illegally cut each year on the campus at Christmas time. 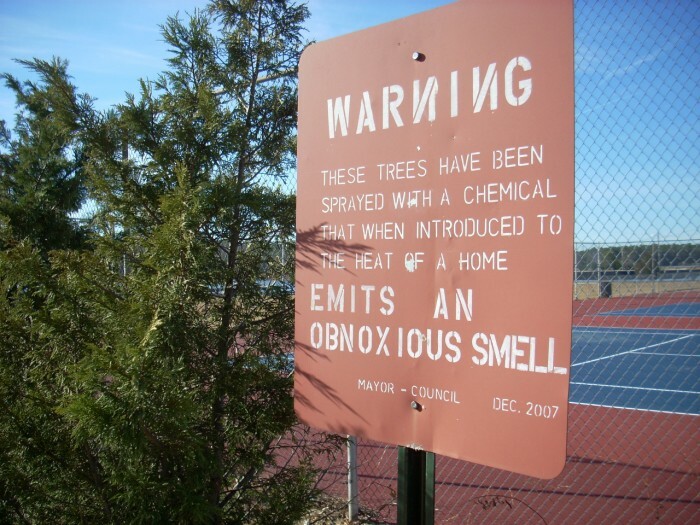 But after applying skunk stink to their trees (the smell also being largely benign within a few days after application as long as the temperature is cold), for the most part, trees are no longer poached. At Cornell University, the groundskeepers decided to assault a different sense in their initiative to protect their trees- sight. They mix together red food coloring and hydrated lime to produce a fluorescent pink, non-toxic paint that they use to spray certain of their trees. The pines remain glowing pink for about a month (outlasting the Christmas season), before the color fades. Not all tree-cutting is bad (unless of course you’re the tree ;-)), and in addition to tree farms where you can cut your own Christmas tree (after you pay the owner and get permission of course), you can also cut Christmas trees in many of the National Forests. Beginning in November, some of the national forests start to issue tree-cutting permits for a modest price typically around $10-$20. 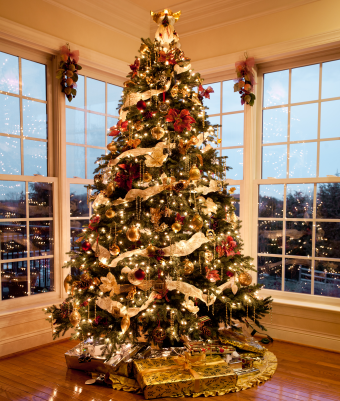 Subject to rules such as no topping of tall trees, choosing only trees with trunks six inches or less in diameter and not cutting within 200 feet of main roads and campsites, the permit otherwise allows the permitee a fair amount of leeway when it comes to picking and cutting the perfect Christmas tree. However, violations of the permit rules are harshly punished, including with fines of up to $5,000 or six months in jail. Under the Federal Lacey Act that covers illegal tree cutting as well as a variety of other activities related to poaching fish, wildlife and plants in the U.S., civil penalties can reach $10,000 and criminal penalties can reach as high as $500,000 and earn the offender up to five years in prison. Nonetheless, tree poaching remains a major problem, not just around Christmas time. Worldwide, it’s estimated that tree poaching annually results in the loss of around ten to fifteen billion dollars of timber. 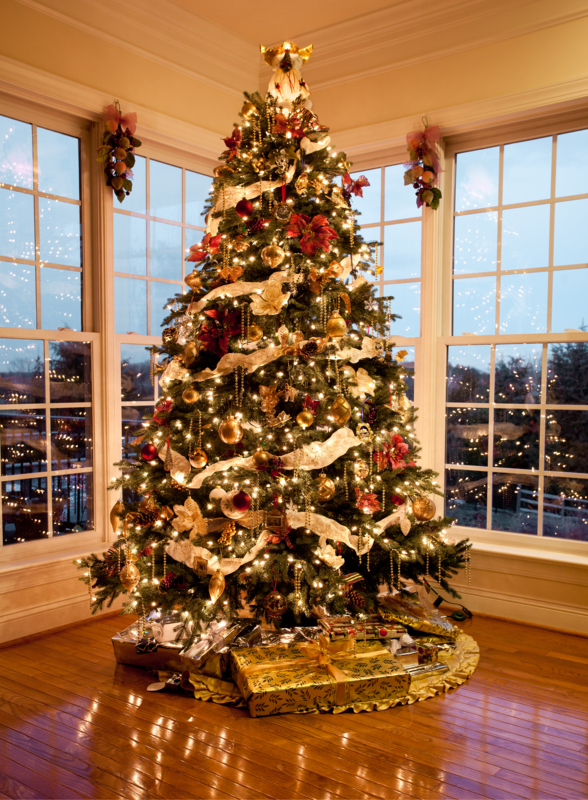 The average time it takes to grow a Christmas tree to 6 feet is 7 years, although some varieties take as long as 15. There are nearly 15,000 Christmas tree farms, employing more than 100,000 people in the U.S.
At Washington State U., they use coyote urine to discourage students from cutting campus trees. As a graduate of the U of Washington, I find this humorous.